Our Movi Pro gimbal package includes a complete setup (6 batteries, 3 chargers, MoVI Ring Pro, and the Mimic control). It’s a perfect companion to our ARRI Alexa Mini camera package or one of our Canon C300 camera packages. The Movi Pro supports up to 15lbs. We also offer a Ready Rig GS as a support option for the gimbal for up to 30 pounds. 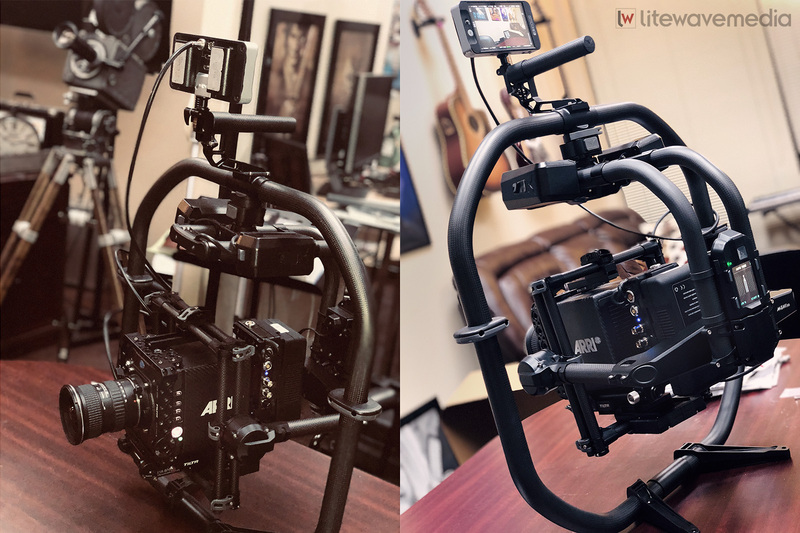 Additionally, Litewave Media has a Movi M5 camera gimbal that supports up to 5lb if you’re looking for a smaller more lightweight option. Our Tampa production company has a variety of monitors and other accessories if you need them for your production. Give us a ring to ask us any questions about our Movi Pro rental packages in Tampa, FL. See our complete video camera rental list. Our Movi Pro camera gimbal rigged up with our ARRI Alexa Mini camera.